Many people believe that dogs can only see in shades of gray, but in fact, dogs can see color. Dog vision is actually similar to the vision of humans who are red-green colorblind. The human eye typically has three functional cones, enabling us to see a range of colors (ROY G BIV!). Humans with red-green colorblindness have two functional cones instead of three. Dogs, similarly, have two cones instead of three, allowing them to see a spectrum of colors that consists of blues and yellows (OY BIV!). 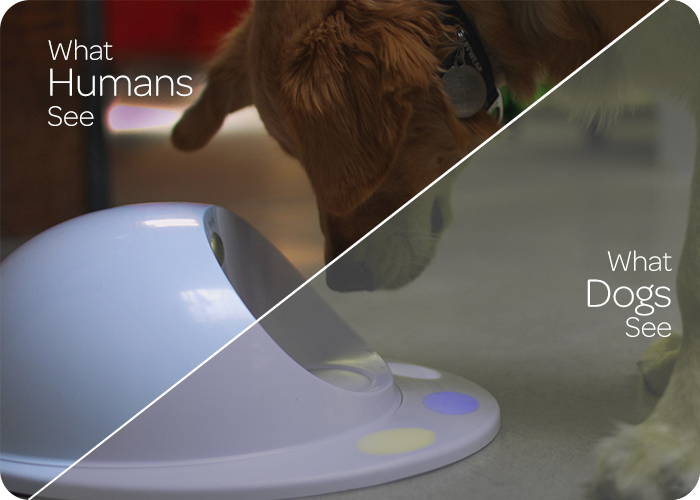 The CleverPet Hub's touchpads are optimized for this color spectrum.